Nose: A floral nose reminiscent of a spring meadow evoking memories of fine weather and sunshine. Lemongrass and sweet dill follow. 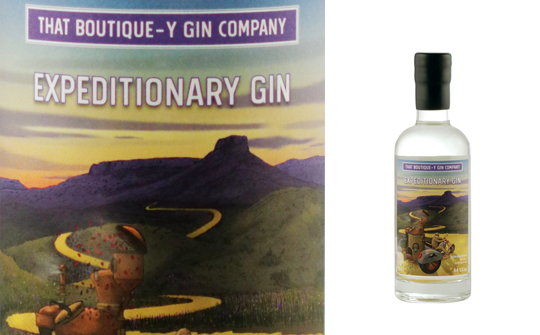 Palate: An oily texture with the sweet, floral notes of lavender, that works especially well with juniper. All overlaid with a combination of sweet and savoury spice. Finish: Juniper and a gentle, floral sweetness, accompanied by oily citrus notes. Comments: Intense.Would mix well; especially in a White Lady or Aviation. Nose: Beautiful bunch of mixed fresh English garden herbs with powerful floral and a hint of ground spice. Palate: Rich, oily and rounded – juicy mouthful with African violets, and sherbet lemon, summer berries with a herbal edge. Finish: Coats the mouth and stays long and perfumed. Comments: Different with the juniper overpowered by floral and fruity flavours. Mix with light tonic and garnish with rose petals and berries. Or peel a rhubarb stick to create crimson ribbons that swirl inside of the glass.